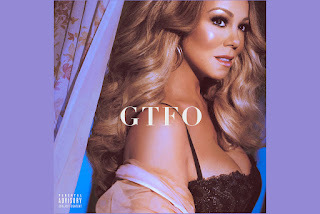 Mariah Carey sends her ex on his “merry way” on her kiss-off anthem “GTFO,” which debuted on Thursday. The sensual video, directed by Sarah McColgan, finds MC drinking wine while wearing lacy black lingerie and strutting around the house. She makes her way from the kitchen to the living room to the bedroom, posing for the camera in true diva fashion. The slow jam, produced by Nineteen85 and co-written by Bibi Bourrelly, is the first taste from Mariah’s upcoming 15th studio album, due out later this year via Butterfly MC Records and Epic. Mariah recently returned to Caesars Palace in Las Vegas for her new residency “The Butterfly Returns,” which is set to run through February 2019.